Got tickets to a show at the Regent Theatre? Heading to a wedding, conference or event at the Plaza Ballroom? 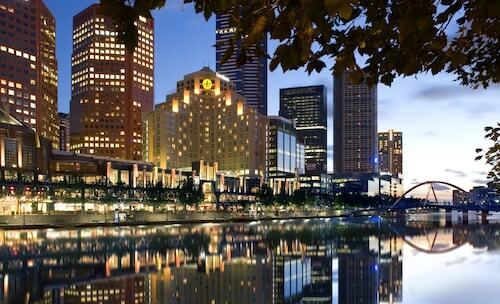 Then why not stay in one of our hotels near the Regent Theatre, Melbourne? The Regent Theatre is located in Melbourne's CBD, at 191 Collins Street, with the Plaza Ballroom located on the bottom floor. The Regent Theatre was first opened in 1929, with a 3250 seat cinema equipped with a WurliTzer organ, as part of Francis W. Thring's Regent franchise. The cinema was destroyed fire in 1945 and rebuilt in 1947. The theatre, owned by Hoyts at the time, was closed in 1970 and remained unused for 26 years. After being bought by David Marinner, as part of his Mariner Theatres group, the Regent underwent three years of renovations. As the ceiling was the only remaining original item, photos were used to restore the interior to its original glory. The Regent Theatre reopened with a production of Andrew Lloyd Webber's Sunset Boulevard in 1996. The Regent, Melbourne, is the last remaining fully intact theatre of the Regent picture palace franchise, with the Regent Theatres in Sydney, Brisbane and Ballarat demolished or substantially altered. Today the Regent Theatre hosts musicals, performances by rock bands, international singers, and magicians, as well as film screenings and organ performances. 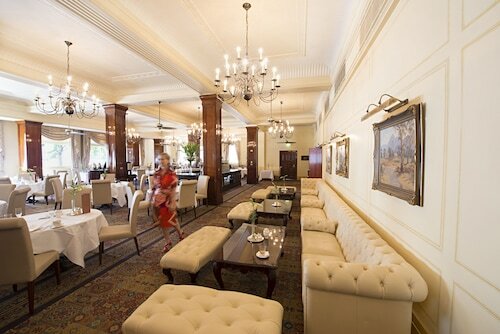 So whether you are from out of town, or just looking for a convenient place to stay, you can't go past Wotif.com's great rates on Melbourne hotels near the Regent Theatre and Plaza Ballroom. How Much is a Hotel Room in Regent Theatre? 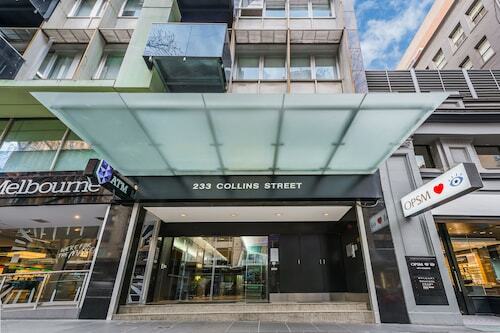 Hotels in Regent Theatre start at AU$85 per night. Prices and availability subject to change. Additional terms may apply.